Imóveis de alto padrão à venda nos Estados Unidos. 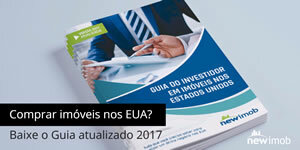 A Newimob oferece assessoria completa na sua migração ou investimento nos EUA. LAKE WINTERSET ESTATE!! 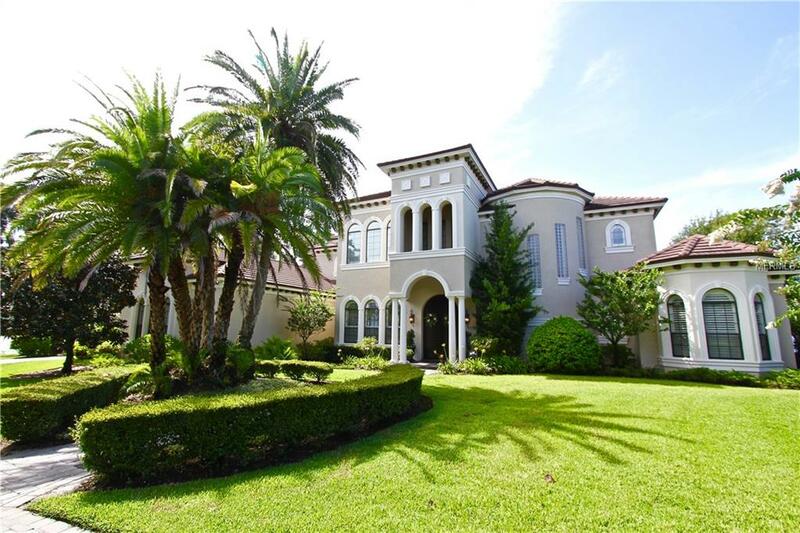 No detail was overlooked on this almost 6,000 sq ft waterfront home with an ELEVATOR. 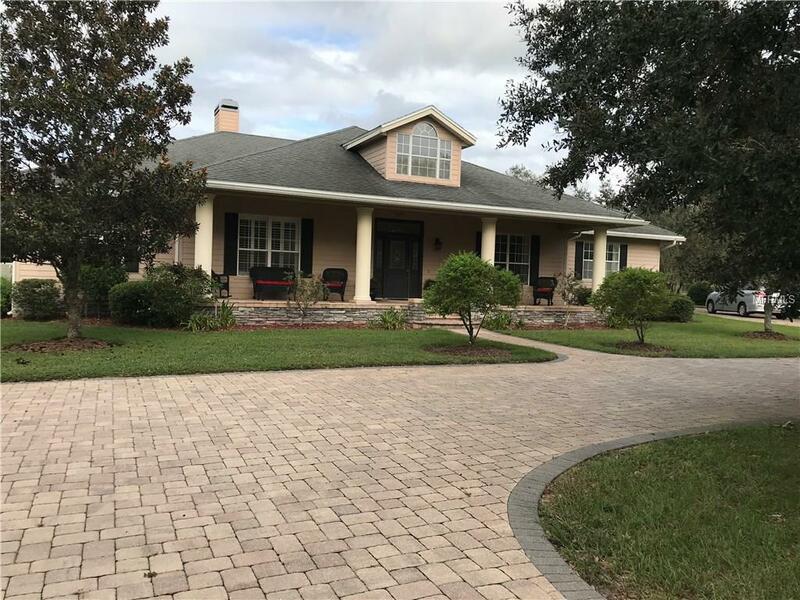 Pull up to privately gated driveway and follow it in to plenty of parking, and the award winning front view of this 2010 custom built Hulbert Home. When you walk in the front doors you will see the incredible views of Lake Winterset just past the infinity pool. The kitchen is complete with a hidden pantry and beautiful views. The living room opens up towards the patio with zero corner sliding glass doors. There is an out door kitchen with a pizza oven, and a grill. The immediate patio and kitchen are screened in while the pool and hot tub are open. There is a downstairs game room complete with a wet bar area. Upstairs you have a workout room with a screened in balcony, and lake view right across the hallway from a stone floor steam shower. On the other side of the second floor you will find the master suite that also boasts zero corner sliding glass that completely open it up to the screened in private balcony with fireplace overlook Lake Winterset. The Double sided walk in shower has entrances on both sides of the Jacuzzi tub. There are two walk in closets. One of the closets has its own sitting area, entire shoe wall, and private laundry room. The master suite also has a full wet bar with a fridge. On the outside you can take the pavered walk way down to the dock to enjoy Lake Winterset and the rest of the Chain of Lakes. Call for more information today. Great Investor Property! 3 parcels included with approximately 5 acres in the Palm River Area. Property currently being used as RV park with combination of daily weekly and monthly tenants. Beautiful mature Oak Trees and babbling creek bring nature to a property located convenient to Seminole Expressway and Causeway Blvd. Shops and Restaurants just minutes away. Features Include: 1709 S 50th st. is 1.6 acres zoned RV park and has 1 Block Home, 7 Owned RV’s, 1 owned Mobile Home , 1 Garage on parcel:: 1713 S 49th St is 2.69 acres zoned multi family and has 5 single family homes currently on parcel. Most homes being rented on Air B&B Additional Information: 1706 Sagasta St is .5 acres zoned single family residential and currently a vacant lot nesteled in the center of the 49th st parcel and should easily be changed to match surrounding zoning. LOCATION, LOCATION, LOCATION says it all! 2 Bedroom 2.5 Bath Waterfront Pool Home. Endless magnificent views and water activities. Perfect for anyone, this home is ideally positioned to enjoy all year long on Clearwater Bay. Just a few steps from all that Clearwater Beach has to offer! Here&apos;s your chance to have the best values on one of the most desirable streets on Clearwater Beach, Devon Drive! The circular drive gives you plenty of parking area for your family and friends. The front door brings you into the bright and airy living room and dining area. A set of French Doors take you out to the Florida room then out to the backyard. Perfect for Bar-B-Ques or a dip in the pool while watching the boats go by. The kitchen is centrally located with wood cabinets and a breakfast table overlooking the water. Come live the Beach life. Davis Island Mediterranean a 5/5.5, 2 car oversized garage with storage, pool home, 5,316 sq ft htd, with many recent updates to include roof, kitchen, interior & exterior paint, boat dock and lift 10lbs, refinished wood floors, newer windows, front door, garage openers and refinished wood garage doors, vinyl privacy fence for side yards. The Master Suite is upstairs with all other bedrooms are split layout which creates independent privacy for all and each bedroom has their own bathrooms. One other bedroom is upstairs and 3-bedrooms downstairs along with a large laundry room. All flooring throughout the house has been refinished and combination of wood and travertine downstairs, Master Suite has wood flooring with carpeting in 2-bedroom upstairs, gym area and office. The Master Suite area is comprised of having access to gym and office making it very convenient for early morning workouts and late evening work. A very open floor plan that will captivate you with its many architectural appointments throughout and relax you with views of saltwater canal. A very well appointed house that makes living on the island an experience! An outside thatch roof grilling/kitchen area with bar and lounge furniture, pool takes outdoor relaxing to another level. READY TO OWN ONE OF THE MOST BEAUTIFUL HOMES AT DR. PHILLIPS? If yes, this is exactly what you need!!! Unique and exclusive Granada floor plan, fully furnished, fully upgraded and with the best location in the Orlando area. This beautiful house comes with stunning and elegant Swarovski chandeliers located in the main areas, such as Formal dining, kitchen, living room, dinette, master bedroom, and at the wood staircase. Welcome to your stunning Castle! There&apos;s NOTHING LIKE THIS IN ORLANDO AREA - it&apos;s a hidden jewel. It was built by Irwin Yarnell for his wife, Josefine, it was registered in the National Register of Historic Places in 1975 and continues to be a well-known historical landmark for Lake Wales. 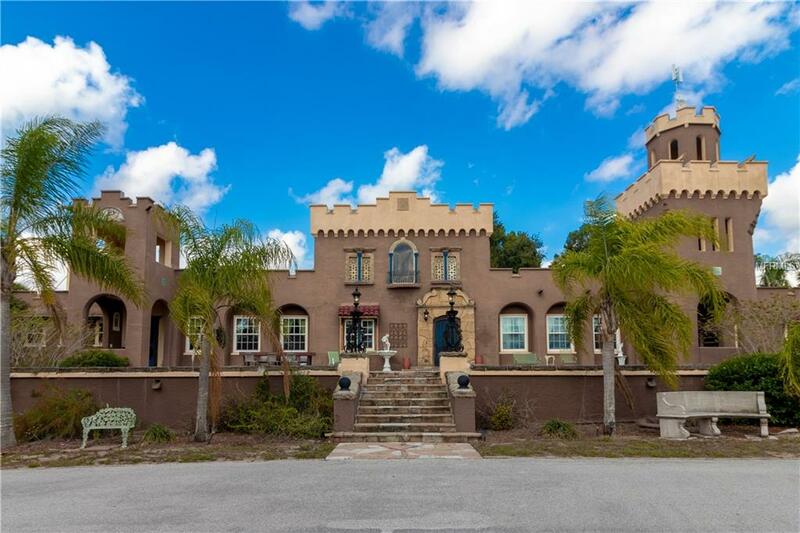 The unique E-shaped Spanish/Mediterranean style castle sits on a hill overlooking Lake Amoret and Highland Park and is situated on approximately 7.5 acres and has had many renovations, yet has still maintained its charm and originality. This gorgeous palace offers nine bedrooms, five bathrooms, three half baths, two kitchens, swimming pool, a very spacious living room, formal dining room, great room/entertainment center with full bar, family room, sitting rooms, screened porch, outdoor kitchen with brick pavers and is perfectly designed to have a lot of guests and has a complete mother-in-law suite. The possibilities of this historic home and acreage are innumerous. Come visit your new castle! This renovated adorable Casey Key beach cottage is the perfect spot to cast your cares away while enjoying the soothing sounds of nature and breathtaking sunset views. Situated on direct beachfront, so there are no streets to cross. 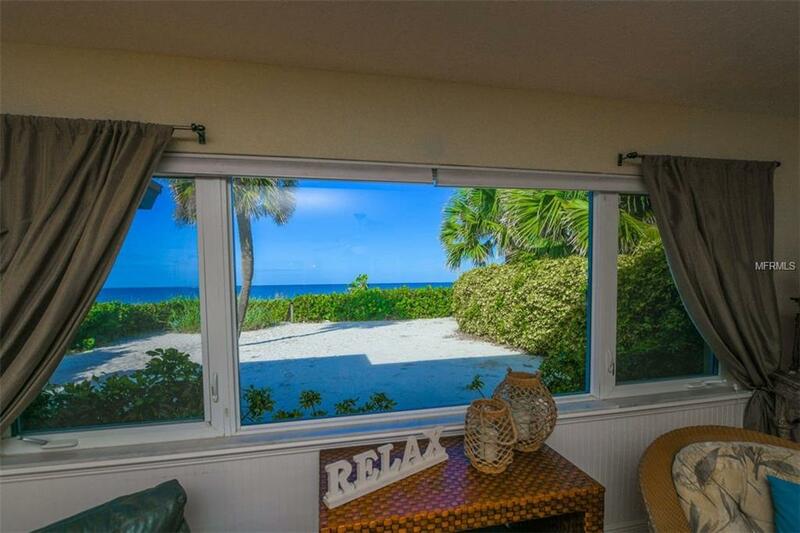 Just walk out the side door to your private backyard and beach or enjoy the sunset from your screened lanai. The living area features a stone wood-burning fireplace and dining area with tempting views of the turquoise water. The kitchen is updated with granite counters and stainless steel appliances. Both baths are updated with pedestal sinks, one with a large shower and the other with a tub. Hurricane impact windows, solar hot water heater, and solar electric photovoltaic rooftop panels offer added safety and security while keeping electric costs to a minimum. Large 21x21 detached two car garage with plenty of storage. Space between the garage and home would be perfect for a courtyard or private outdoor entertaining. This property is a little slice of heaven on Casey Key, a barrier island located between Sarasota and Venice, with fewer than 400 single family residences and no high rise condominiums. Located within walking distance to waterfront restaurants. Just minutes to culturally rich downtown Sarasota or Venice where you can enjoy strolling down Main Street, shopping and fabulous restaurants. Just a short drive to the North Jetty and the Legacy Bike Trail. This is your opportunity to own a piece of history and a truly one of a kind home with million dollar views of the Orlando skyline. Live one block from Orlando’s centerpiece, Lake Eola Park, and within a short distance to major concert venues, sports stadiums, live entertainment, restaurants and outdoor festivals. Built in 1928 as a Pentecostal Church, this mission-style building has been resurrected into five unique town homes, each with different floor plans. As a historical site, original architectural features were kept within the design, such as original exposed brick, cathedral ceilings and antique steel windows. This town home combines old world grace and harmony with modern influences such as custom lighting, top of the line stainless steel Meile appliances, soft close cabinetry throughout, stunning waterfall granite kitchen island, glass paned loft railing, private elevator, multi-level air-conditioning unit, security system and a two car tandem garage. 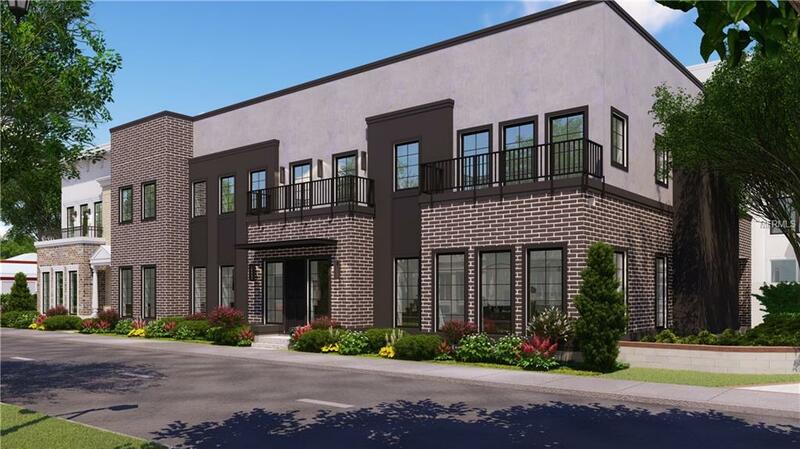 With its stunning rooftop patio, entertaining is made easy with built in gas lines, wet bar and half bath. Don’t forget to view the 360 degree virtual tour link on Zillow. Buyers can take advantage of a $50,000 historic preservation credit on taxes. Under Construction. Introducing The Morse + Pennsylvania Brownstones - Phase 2 of Phil Kean Designs downtown Winter Park town home development. Another one-of-a-kind design by Phil Kean which offers luxury living spaces, private garages and in-unit elevators. Unit 1-2 (Bldg 1 Unit 2) is a 2-story home with an open floor plan with a kitchen outfitted with Wolf/Subzero appliances and a walk-in pantry. The open dining room has a wet bar and wine refrigeration, and opens to the beautiful great room with gas fireplace. The second floor offers a very spacious and private master suite with 3 walk-in closets and a spa-like Carrera marble master bath. Two additional en-suite bedrooms are also located on the second floor. Perfect living for the urbanists who love to walk to everything, the travelers who want lock + leave and the commuters who need easy access to I-4 and downtown Orlando. 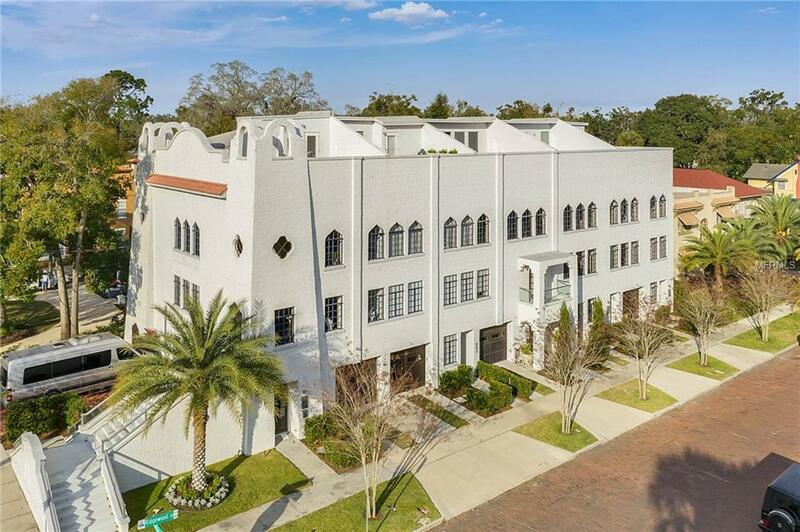 Ideal location that is walking distance to shops and restaurants of Park Avenue and Hannibal Square, SunRail, Hillstone’s, Trader Joe’s and the newly approved 120-room boutique hotel. THIS BEAUTIFUL COMPLETELY FENCED 42.75 ACRE RANCH COULD BE JUST WHAT YOU ARE LOOKING FOR (ACREAGE INCLUDES 4 ACRE PARCEL ID#28-28-21-000000-022110). NESTLED IN THIS EXQUISITE RANCH IS A BEAUTIFUL CUSTOM BUILT WELL CRAFTED AND WELL MAINTAINED HOME WITH OVER 3000 SQ FT LIVING AREA WITH A TOTAL UNDER ROOF OF OVER 4600 SQ FT ALARM SYSTEM AND WIRED SMOKE DETECTORS. THIS HOME HAS 3 BEDROOMS AND 2 1/2 BATHS PLUS AN OFFICE THAT COULD EASILY BE A 4TH BEDROOM. IT ALSO FEATURES, BEAUTIFUL CROWN MOULDING THROUGHOUT AND GRANITE COUNTERTOPS IN THE KITCHEN. YOU WILL LOVE THE LARGE OPEN FLOOR PLAN AND THE BEAUTIFUL FAMILY ROOM THAT OPENS TO A FABULOUS CHEIFS KITCHEN AND BREAKFAST NOOK OVER LOOKING A SPECTACULAR POOL AREA PLUS THE LARGE DINING ROOM HAS PLENTY OF SPACE FOR ENTERTAINING. IN THIS LOVELY HOME IS A LARGE LAUNDRY ROOM WITH A PERFECT AREA FOR A CRAFT ROOM SEWING ROOM OR EXTRA OFFICE SPACE. THIS HOME ALSO FEATURES A LARGE OVERSIZED 2+ CAR GARAGE WITH A 8&apos;X29&apos; STORAGE ROOM PERFECT FOR STORING ALL YOUR HOLIDAY DECORATIONS. THIS FABULOUS RANCH FEATURES A LARGE 4 STALL HORSE BARN THAT HAS BEEN THE PRIDE VENUE OF MANY BEAUTIFUL WEDDINGS, BRIDAL SHOWERS, ANNIVERSARY PARTIES AND MANY UNFORGETTABLE FAMILY GATHERINGS. THERE IS ALSO COW PENS WITH CHUTES AND 4 SEPARATE PASTURES PLUS 2 WELLS! THIS LAND HOLDS MANY POSSIBILITIES (CHECK ZONING). THIS AMAZING HOME IS MOVE IN READY, WITH NEW A/C AND A NEW ROOF ON THE WAY! A QUITE COUNTRY SETTING, YET CLOSE TO AREA SCHOOLS, SHOPPING AND AREA ATTRACTIONS. BRING YOUR OFFER TODAY! SHORT SALE! One of a kind 3 bedroom, 3 bath Oceanfront penthouse. Unobstructed Ocean and intracostal views with buildable 2100 sq. ft. rooftop terrace. This penthouse offers spectacular ocean and city views. Pinnacle condominium amenities include library, gym, spa, pool, steam & sauna room. Enjoy the sunrise from this stunning 4BR/4+1BA penthouse at the St. Tropez. The residence is ready to move in and features a full wrap-around oceanfront balcony with views to the ocean and city. Highlights include open flowing living/family and dining are as, wet bar and open kitchen with top of the line appliances, custom cabinetry, and granite center island. The spacious master suite has a full walk-in closet and en-suite bath with glass/marble rain shower and sunken tub with jets. SPECTACULAR PANORAMIC VIEW OF OCEAN, CITY, BAY. 270 DEGREE VIEW. EVERY ROOM AND KITCHEN LEADS TO THE BALCONY. APPROX 1000 SQ FT OF WRAP AROUND BALCONY. UNIT INCLUDES A STUDIO WITH PRIVATE ENTRANCE. SPACE TO MAKE 4 BD. 24 HR SECURITY, VALET, GYM, SAUNA, WHIRPOOL, BBQ, WASHER AND DRYER IN SIDE UNIT. FEW BLOCKS FROM SURFSIDE AND BAL HARBOUR SHOPS. BEAUTIFUL 1BEDROOM/2BATHS W/SPECTACULAR UNOBSTRUCTED OCEAN, BAY AND CITY VIEWS. OWNER HAS OPTION OF ENROLLING IN HOTEL RENTAL PROGRAM. USE IT PART-TIME & RECEIVE INCOME WHILE YOU&apos;RE AWAY! FULLY FURNISHED TURNKEY WITH SLEEPER SOFA. FONTAINEBLEAU OFFERS 22 OCEANFRONT ACRES, MANY TOP RESTAURANTS, LIV NIGHT CLUB, 40,000SF STATE OF THE ART SPA & FITNESS CENTER. MAINTENANCE FEES INCLUDE: AC, LOCAL PHONES, ELECTRICITY, VALET AND DAILY FREE BREAKFAST IN OWNERS LOUNGE. What a beautiful property; on a quiet street with over two acres of land, filled with specimen plants and towering oaks, truly a gardener&apos;s paradise in north Pinecrest. Follow the winding driveway to the spacious home which has a unique Caribbean feel wit h its floor to ceiling windows and vaulted ceilings. There is also a separate full guesthouse overlooking the pool area. The house is ready to be updated -- and the possibilities here are endless! WILLIAMS ISLAND NEWEST BUILDING OFFERING CHIC EXCLUSIVE RESIDENCES WITH AN ARRAY OF AMENITIES. THIS 24-STORY ELLIPTICAL-SHAPED TOWER OFFERS 70 STYLISH RESIDENCES , EACH WITH ITS OWN PRIVATE ELEVATOR. FOUR LUXURIOUS RESIDENCES PER FLOOR, UNITS OFFER SPACIO US 10 FOOT CEILINGS, WITH FLOOR-TO-CEILING HURRICANE-RESISTANT GLASS WINDOWS & 90 DEGREE PANORAMIC WATER VIEWS. COME LIVE THE LUXURY ISLAND LIFE WITH A PRIVATE CLUB AND SPA, TENNIS COURTS, RESTAURANT AND SO MUCH MORE! READY TO MOVE IN IMMEDIATELY. Gables By The Sea-manned and gated 24/7. This lovely 4 bedroom + office, 4 bath home is tastefully renovated; features a gourmet kitchen with custom cabinetry and granite countertops, marble floors in all social areas, master bedroom with two other bedroo ms are on the second floor, office and maid&apos;s room on the lst floor. 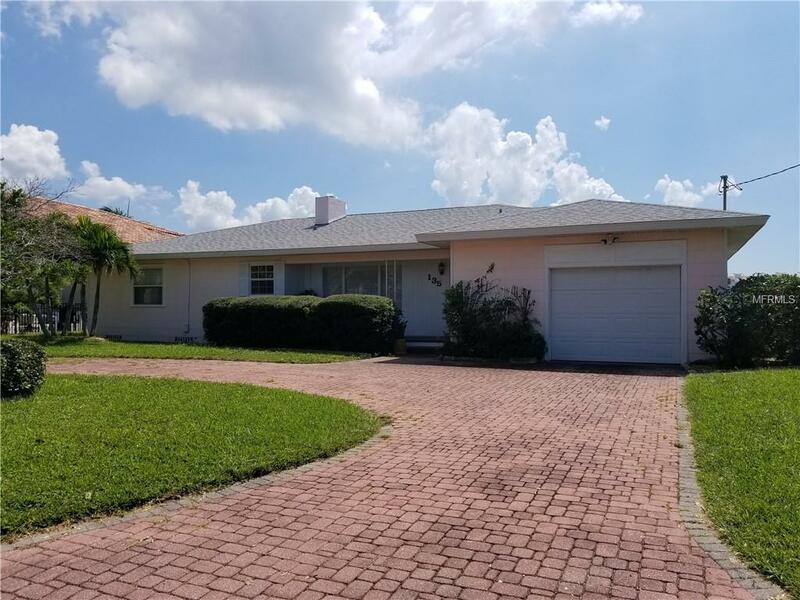 The exterior is very inviting with queen palms and tropical landscaping, pool, 2 car garage + porte-cochere, 24 hour notice for all showings. 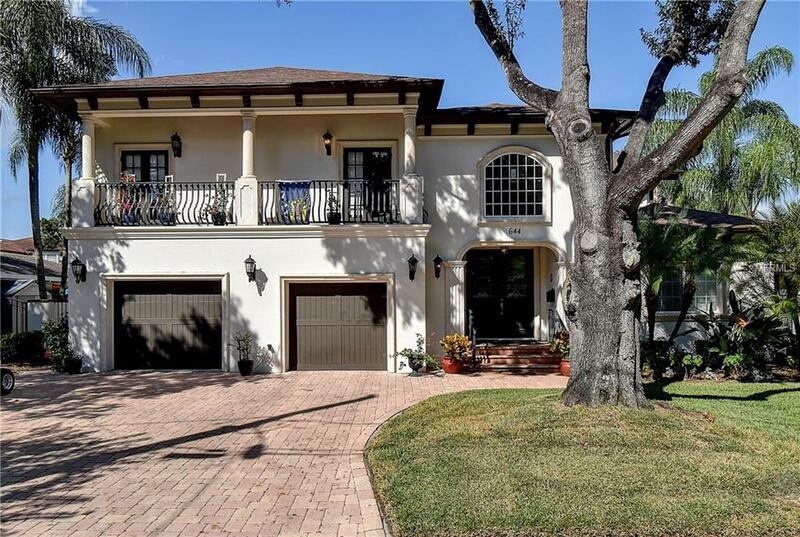 ***DORAL ESTATES IS A GOLFER&apos;S PARADISE***GOLF, LAKE & POOL*** MAGNIFICENT MODERN CUSTOM BUILT ONE STORY HOME HAS BEEN TOTALLY REMODELED BY THE OWNER WHO IS AN ARCHITECT IN FENG SHUI. IN ALL HER DESIGNING PROYECTS SHE ENSURES THAT HER HOMES REFLECT BALANC E, HARMONY AND PEACE. 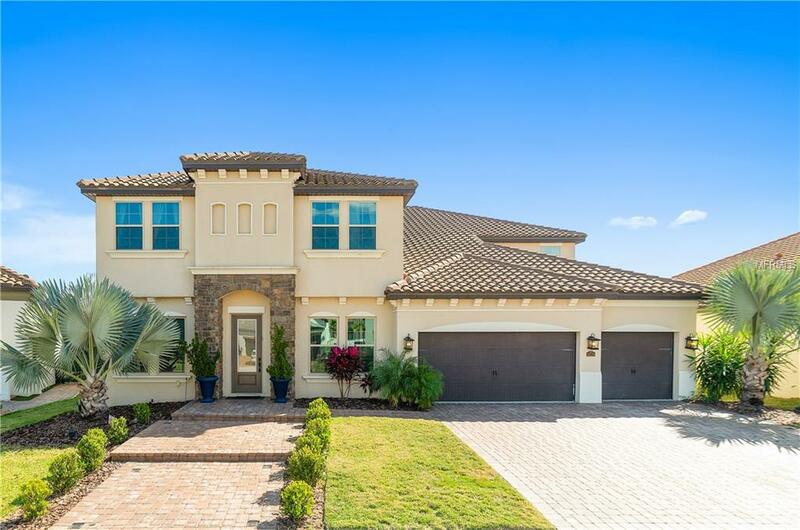 THIS BREATH TAKING HOME FEATURES MODERN ELEGANCE AT EVERY TURN, 4 BEDROOMS, 3.5 BATHS, BEAUTIFUL MARMOL & WOOD FLOORS, MODERN KITCHEN AND BATHROOMS, IMPACT WINDOWS AND MUCH MORE. RELAX AROUND THE POOL. Pinnacle complex ocean front unit for sale in the heart of sunny isles, close to all commercial and residential areas, come and visit the unit comes fully furnished it used to be the developer model the unit is rented unit the end of March. It will not la st come and see it, call listing agent with 24 hours in advance. Best location on South Beach in the most desirable South of Fifth neighborhood. Only a few blocks to the Ocean, this rarely available combo unit sits on the 6th floor and faces east towards the Ocean. This is a true 3 bedroom plus den with full 3 bathrooms, a very large master, 2 balconies, 2 parking spots, huge storage unit.